Human Resources (HR) arranged for the Kentucky Blood Center (KBC) Bloodmobile to visit the Lexington-Fayette County Health Department (LFCHD) May 22. 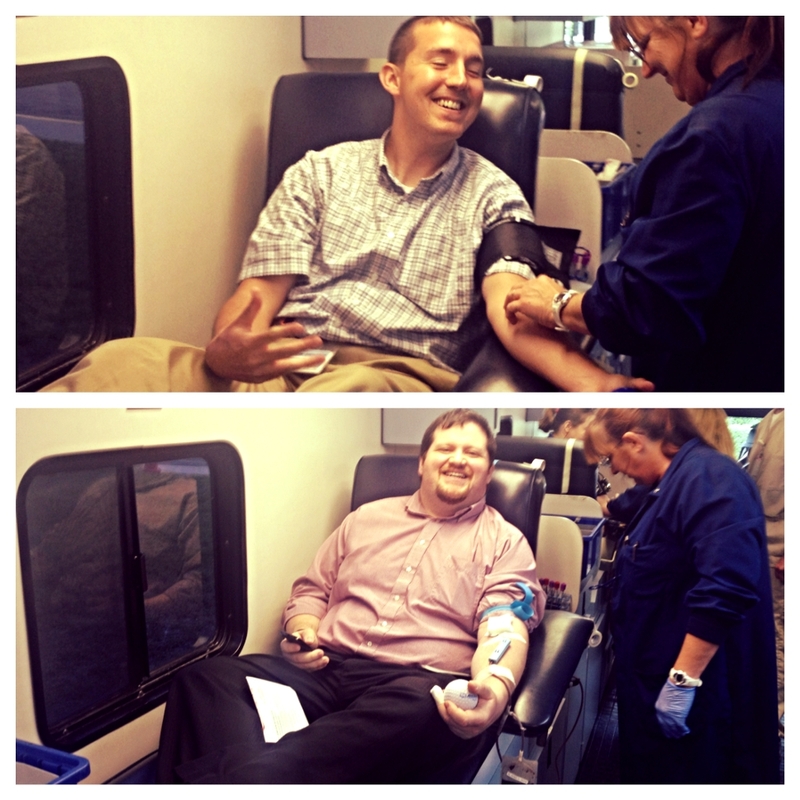 A total of 17 employees donated blood (including three first-time donors), the highest number of donations during a LFCHD Drive since KBC began keeping electronic records in 2003. By donating, employees helped LFCHD surpass its donor goal while saving the lives of 51 very grateful Kentucky patients. Those who donated received 25 wellness points if enrolled in the Worksite Wellness Incentive Program. Darin Swartz also won a $50 gift card as part of a raffle hosted by HR. 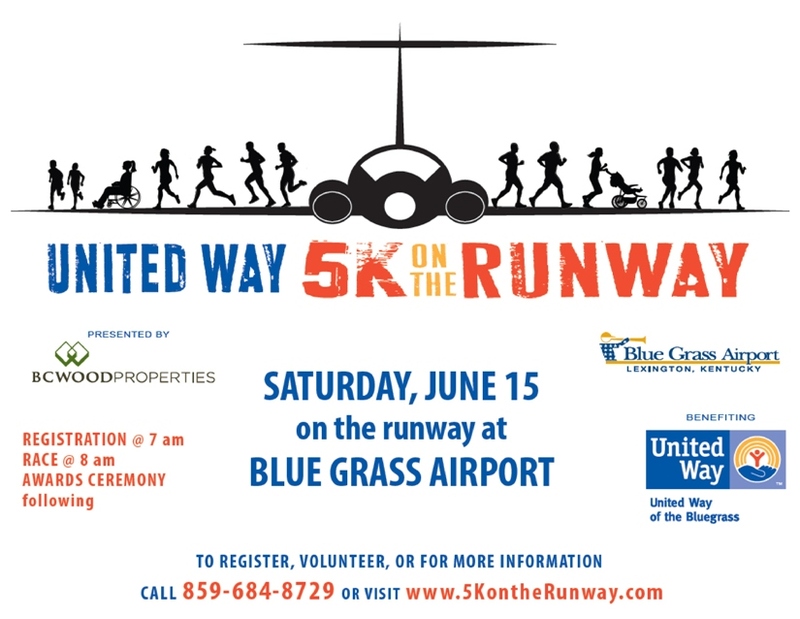 The United Way of the Bluegrass returns to Blue Grass Airport on Saturday, June 15, and invites you to join the 5K on the Runway. To register, volunteer, or for more information, call (859) 684-8729, or visit www.5KontheRunway.com. You can earn 25 wellness points by submitting proof of registration in this 5K. Are you participating in the Weight Loss or Be Fit challenges? You can use these free aerobics classes as a way to fit in exercise time that will help you achieve your goals in these challenges, and you’ll get points for two things at once! Allison Evans and Melissa Smith attended the 2013 Meadowthorpe Elementary Spring Health Fair at Meadowthorpe Park on Monday, May 20. Students visited the health fair and learned about nutrition and helmet safety, and played physical exercise games. Evans, a child care health consultant, also recently provided an interview to the University of Kentucky about child care resources that will be used for statewide training purposes. Public Health Clinic staff gathered for an all-staff meeting earlier this week, so that makes it a perfect time to brush up on some things you may not know about the Lexington-Fayette County Health Department’s various clinical (and related) services. Did you know? In 2012, the Head Start Program, which works with the Community Action Council (CAC) to provide well-child physicals and lead testing at daycares, averaged 33 lead tests per month. However, in October 2012, to help CAC pass an intense audit, Head Start staff worked hard to perform 186 lead tests. Yes, they did pass their audit. In 2011, the Kentucky Department for Public Health recognized our Vital Statistics office for their leadership and achievement in high quality/low error of processing of birth and death certificates. In 2013, staff began using an electronic database to quickly process more than 7,500 births and 3,000 deaths that occur in Fayette County each year. Learn more about the Vital Stats office here. Prior to 2010, the DNKA rate (rate of patients who Did Not Keep their Appointment) in the Public Health Clinic was at a discouraging and inefficient 40 percent. In 2010, the clinic implemented a same-day scheduling system to maximize efficiency with limited staffing. This means patients can now call or walk in the same day they wish to be seen to schedule an appointment. After this was implemented, the DNKA rate dropped to less than 10 percent. Want to view the Quality Improvement storyboard that illustrates how the clinic made this change? Click here. Our WIC (Women, Infants and Children) Program is one of the largest in the state, serving about 7,500 participants each month. The program helps families by providing nutrients most often lacking in diets of low-income individuals, like fruits, vegetables and whole grains. The WIC team recently received statewide recognition for their improvements in delivery of services, efforts that other counties are now using as a model to shape how their clinics operate. Learn more about WIC here. Members of the HANDS (Health Access Nurturing Development Services) team were recognized in April for meeting or exceeding their minimum requirement for home visits, which is fewer than 60 visits per month. Those recognized included: Joan Jarboe, Terry Mehok and Cindy Wilson. Five staff members achieved 65-plus home visits during April, including: Jennyfer Avila (65 visits); Ana Edwards, Sharon DeLaFuente and Suzette Ferguson-Ngondy (75 visits); and Ada Hidalgo (80 visits). For more information about the HANDS Program, visit the health department’s website. On September 21, 2013, superheroes of all ages will gather at Coldstream Park for a 5K, kids run and lots of special activities. This is the first-ever Superhero Run in the state, hosted by Court Appointed Special Advocates (CASA) of Lexington, which works to give children who have been abused and/or neglected a voice of their own. Gather your co-workers, friends and/or family and join the league of superheroes! No superpowers needed. The children’s 1K is 9-9:15 a.m, followed by various activities like face painting, inflatables, games and more. The adult 5K begins after the kids run wraps. And, it’s not your ordinary 5K! Find superhero figurines along the course and redeem them at the finish line for special prizes. Early registration is $20 for the 5K and $12 for the 1K (12 and under). All children 12 and under participating will receive a custom cape. By providing proof of participation, you can also earn 25 WELLNESS POINTS for your Worksite Wellness Incentive Plan. Luke Mathis recently completed interviews with local media about how different environmental health (EH) services help protect the public health of the community. One interview followed a meth lab bust at a Lexington hotel in April, where Mathis discussed the health department’s role in such an incident. In a situation like this that occurs on public property, Environmental Health staff work to make sure entities follow proper clean-up procedures to make sure the property is safe for patrons. Mathis also did an interview following the closing of a local restaurant that received a failing inspection score. Every person who handles food at food establishments in Fayette County are required to have a food handler’s certification from the Lexington-Fayette County Health Department, and can obtain one by either taking a test in-person at Environmental Health’s office at 804 Newtown Circle, or online through the health department’s website. All food establishments in Fayette County are also required to have a certified food manager on duty at all times of operation. Classes and certifications are offered at least monthly at the EH office. A schedule of food manager classes is updated here. The public can now view Lexington restaurant scores online before dining out. Scores are updated monthly and can be found here. You can also follow the health department on Twitter to find out when scores are updated. Lois Davis was recently named a 2013 Hero of the Year nominee as part of the The Bluegrass Chapter of the American Red Cross’s sixth annual Heroes Campaign presented by Nurses Registry.